It's not easy to give a gift to a child suffering from a disease as hopeless and heartless as cancer. Most anything seems inadequate at the best and inappropriate at the worst. But that shouldn't stop you from giving a token gift to a kid who can use any encouragement you have to offer. Fortunately, there are a number of online retailers who specialize in gifts and other products for children with terminal illnesses that allow them to share in the fun of being a kid. Not every child will need to spruce up a hospital room with an IV pole "pal," but fun hats and capes make great gifts to share with kids facing cancer and their siblings. Here are some of our favorite retailers and some hand-picked products for kids with cancer. With a variety of medical equipment in fun shapes and colorful designs, Kids Hope Chest is a great source for fixing up dreary hospital rooms and adding a little flair to feeding tubes, IV poles, and the like. Because not every situation in life can be addressed with flowers or a card, Healing Baskets specializes in thoughtful gift selections for those facing a variety of challenges. From cancer and loss to divorce and sobriety, their baskets give simple pleasures to those need. There are also selections designed for caregivers, whose own sacrifices often go unmarked or unnoticed. 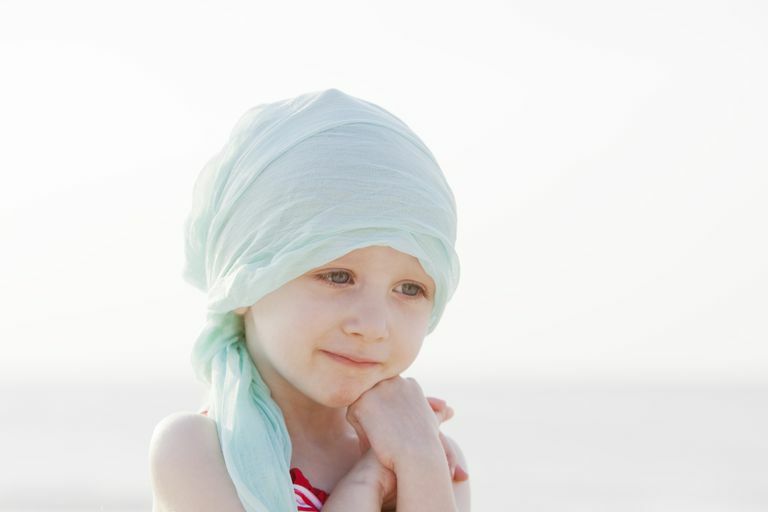 Specializing in hats and headgear for children experiencing hair loss, Headwear Unlimited has a wide variety of warm and whimsical coverings that will be as popular with friends and siblings are they will be with the patient. From a mall near you, American Girl presents something a little more substantial than a doll. This feelings journal, ideal for girls ages 8-12, gives writing prompts that help her uncover conflicting thoughts and messy emotions. A thoughtful gift for any kid, it can be especially empowering for a child with a serious medical condition. Social-good standout business Choose Hope offers a variety of products for the cancer community, from apparel to jewelry and journals, all available in the recognized colors of various cancer charities. What's more, they robustly support cancer research. As of 2016, this for-profit business has donated over $900,000 to various treatment and research charities. A vibrant 12-year-old who lived by the creed of Never Ever Give Up, Jessie Rees ultimately succumbed to cancer in 2012. But before she did, she brightened the lives of other cancer kids like herself, founding a charity that delivers jars of toys and activities at no cost to children with terminal illnesses. The foundation lives on in her honor. The internet craft marketplace is chockablock with gift ideas, but some, in particular, have appeal to kids with cancer. These include keychains and Bravery Buddies.